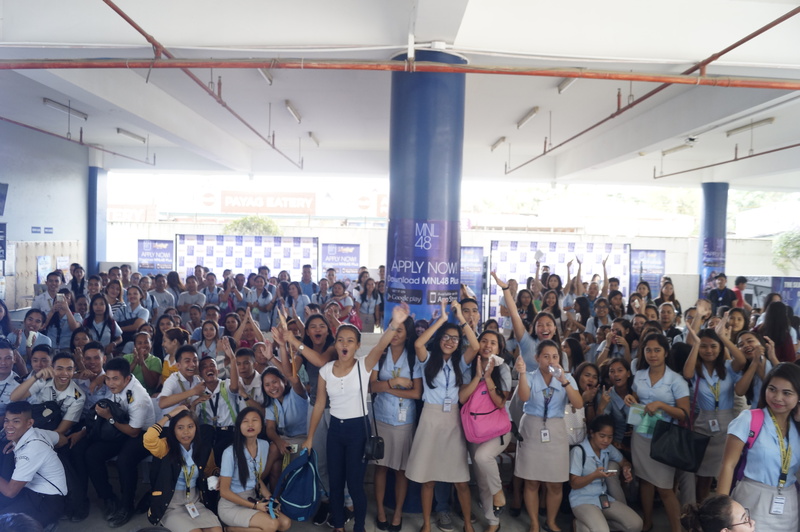 After the heart-warming welcome from Iloilo City, MNL48 registration and audition gains new pleasing applicants and supporters with its four consecutive successful tours at University of Southern Philippines Foundation (USPF), University of Cebu Lapu-Lapu and Mandaue (UCLM), Robinsons Galleria and Gaisano Country Mall Cebu City last November 16-19, 2017. Hundreds of cute and talented students from University of Southern Philippines Foundation and University of Cebu Lapu-Lapu and Mandaue brought their best smiles and outstanding performance with them in hope to be part of the biggest idol group to hit the Philippines this coming 2018. 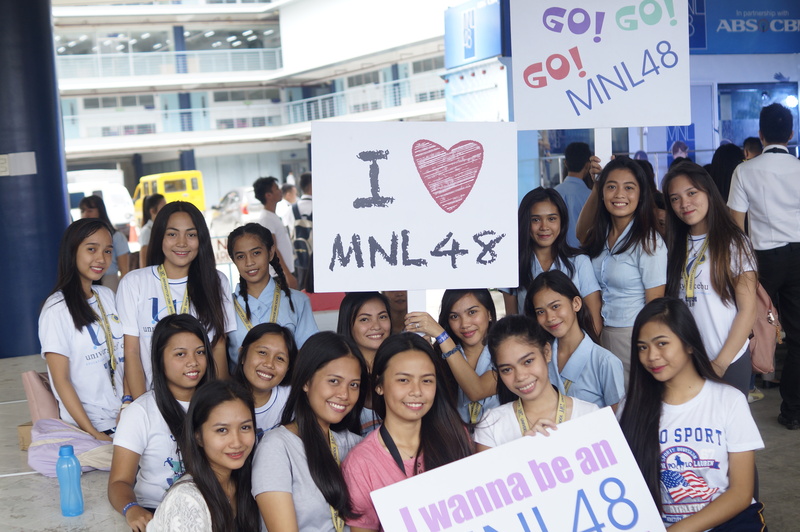 The tour became even more exciting when the energetic Cebuanos cheered for their friends and classmates during their performance inside the MNL48 audition truck and even registered as fans to show their early support for their friends. Fans who attended the registration and audition event at Robinsons Galleria Cebu and Gaisano Country Mall did not disappoint as they gather around the venue to register and to show support while the talented and charming applicants gave their 100 percent as they perform during their auditions to show everyone that they deserve a spot in MNL48. 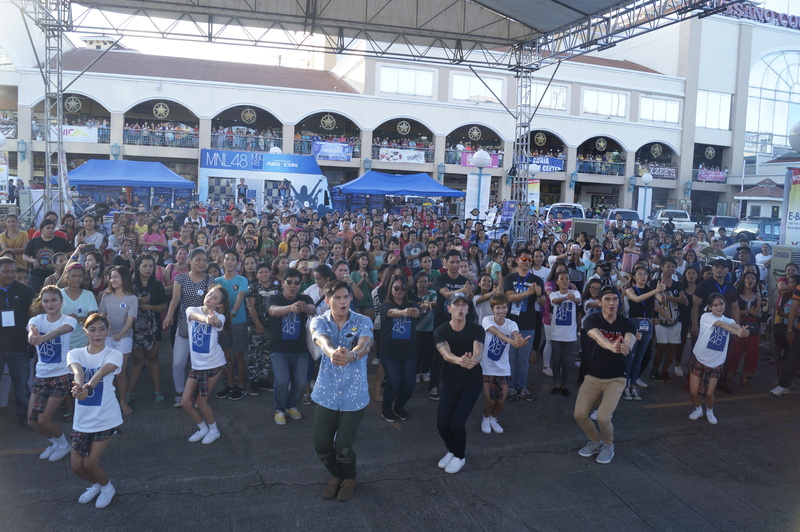 During the Robinsons Galleria and Gaisano Country Mall tour, three members of popular group Hashtags, Nikko Natividad, Luke Conde and Zeus Collins grooved with the audience in dancing AKB48’s hit song “Fortune Cookie” with the audience and MNL48 staff which earned an overwhelming cheer from the crowd. Lucky winners of the games hosted by the Hashtag members got the chance to take home an official MNL48 merchandise; while applicants and supporters who registered were given extra treat as they were able to take a selfie with the three handsome hosts. After the successful tours in Luzon and Visayas, Team Mindanao has nothing to worry about because this week MNL48 registration and audition tour will be heading to the beautiful city of Davao to scour young and talented Davaoeños who wish to become part of the newest sister group of AKB48. MNL48 tour will be visiting University of Southeastern Philippines on November 23, Rizal Park on November 25 and Gmall Toril on November 26. Meanwhile, hopefuls who missed the nationwide tour have given a last chance to register and showcase their talents on the last stop of the tour which will be held on December 2 and 3 at ABS-CBN Compound with special appearance from AKB48 Team 8 members Honda Hitomi, Hidaritomo Ayaka, Yokomichi Yuri, Nagano Serika, Ota Nao, Nakano Ikumi, and Hitomi Kotone. This is expected to be the biggest event of the nationwide tour due to the presence of the members of AKB48 team 8. AKB48 fans may also catch the seven members of Team 8 on several Kapamilya shows including ABS-CBN’s Prime Tanghali show, “It's Showtime” during their visit here in the Philippines. Get the latest updates on the schedule of tours and other updates at the official website and social media accounts of MNL48.